WonderCon fans started lining up three hours in advance to insure entrance into the Esplanade Ballroom to catch their first glimpse of exclusive footage from Jon Favreau's anticipated summer blockbuster Cowboys & Aliens (2011), an imaginative hybrid of the classic Western with the alien-invasion movie, based on Scott Mitchell Rosenberg's 1997 graphic novel and due to be released by Dreamworks / Universal Pictures on July 29, 2011. 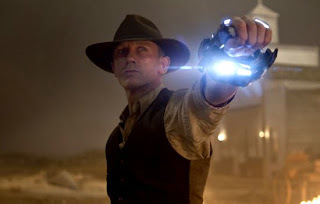 Joined by an arsenal of top moviemakers—Steven Spielberg, Ron Howard, Brian Grazer, Alex Kurtzman and Roberto Orci—Favreau corrals audiences into 1873 Arizona where lone cowboy Jake Lonergan (Daniel Craig) leads an uprising against an extraterrestrial terror. Although actors Craig, Harrison Ford and Olivia Wilde weren't able to attend WonderCon, director Favreau (who admitted he felt like a rock star) and producer Orci were on hand to enthuse their cheering WonderCon crowd. I was here in 2008 to promote Iron Man. It really was a wonderful moment, similar to this in that people didn't know what to expect. We were a bit of an underdog back then. 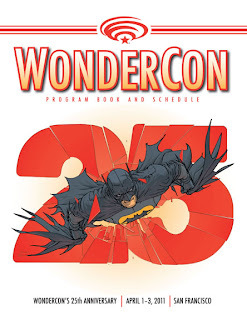 ComicCon has turned into this huge thing and it's a lot of fun; but, WonderCon reminds me a lot of what ComicCon was like when I first started going to ComicCon. ComicCon has been so instrumental in so many movies really arriving that everybody focuses a lot of attention there; but, it's more like a big festival or big party. What's nice about WonderCon is it's a little bit more intimate and we can really have a dialogue here and talk about things. It's not like a big carnival. I think it also shows you guys who really cares about this group of people and I, for one, am very grateful for what you guys have all done for my career. So I want to make sure that this remains a priority. There's a much more limited slate of films that have prioritized this event so it allows for a better dialogue. First of all, Bob [Orci]—in addition to being producer on the film—is one of the writers of the draft; he, along with Alex Kurtzman and Damon Lindelof. They had worked together on the Star Trek film, which I thought was great. 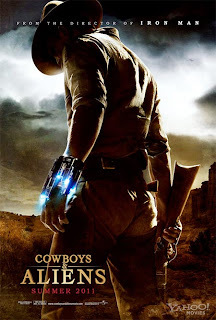 I had heard about Cowboys & Aliens many times. I heard about it first when Fergus and Ostby—the writing team that wrote the first Iron Man film—had been hired to do a first draft so I was really intrigued. Then when we were working on Iron Man 2, Robert [Downey] was flirting with the project as well so I kept hearing that there was this really great version of the film Cowboys & Aliens—there were a lot of really bad versions of the film named Cowboys & Aliens too—but, if it were done right (and I heard Ron Howard and Steven Spielberg were all attached to this thing), it was a very intriguing idea. These guys were great. Daniel Craig is just an awesome, professional, great dude. I admired his work in Layer Cake and, of course, later in the Bond films where he was a sort of a vulnerable but really badass hero, where the wheels were always turning. He's really invested in the stakes of the moment. So you have that generation. And then, of course, Harrison was a late-breaking idea because we didn't think it was doable at all. We never thought he would want to come back to genre and—as most of the people in this room feel—we fell in love with the guy through films like Star Wars and Indiana Jones. To have him bring that pedigree was almost like when you would cast John Wayne in a western. He brings this entire history and so you have two generations of action stars who reluctantly have to work together—we start them very much at odds in a cruel environment—to rescue their people. It was just great. They both care deeply about the process, they were a lot of fun, we were all living out in Santa Fe for the summer, and it was a dream project. She's awesome, first of all. I said, "Olivia, please try to come down"—she was working—I said, "Please come down. All your fans who have crushes on you are here. Do you have any message I should pass along?" And she literally texted me to tell you guys that she sleeps naked. She's the best. She's wonderful. Her character is somebody who's a little bit more in the know than she seems to be and she's a key to the film in many ways. I really wanted to, but on Family Guy Seth McFarlane made fun of me for putting myself in all my movies. I didn't want to blow the reality of the film either. So much of this film is the tone and you have to feel so invested in the western that when the aliens come—even though you know it's Cowboys & Aliens—it feels like a surprise. 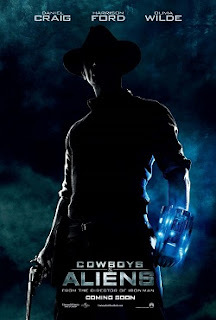 Although the movie is fun, I wanted the fun to come from the mash-up of the genres, not because the people in the western didn't think it was real or were winking. I wanted the characters to be freaked out and the audience to be laughing. Even when I do comedy, that's something I like. I like the people to be worried about what's going to happen next and I want the excitement to come from just the juxtapositioning of things. So much of this is about hitting the tone square on and I feel that we did that quite well. I enjoy directing more to be honest with you because—now that this [attending WonderCon] has become part of directing; now that we're trying to lock picture and finish off effects and get the music in and this is the moment when it tends to become the most trying and there's the most anxiety from the studios and you're trying to figure out your release and your marketing campaign—to be able to come here and show you this and to feel like we're throwing a party and have it be appreciated so much, it makes directing the most fun job there is in the world, for sure. I'm speaking and showing a lot to the people who run the blogs. In this day and age with social networking and Twitter, what's nice is—if you have the goods and you get the word out—it spreads. It's good to have marketing to get the message out there; but, more importantly, much like political campaigning, you got to get your message out with the people. We thought WonderCon would be a really great venue to show some stuff. Generally you show—what?—a few minutes? But I heard the Green Lantern footage was really good and they showed nine minutes, right? So I guess we better show nine minutes! What we're showing you is not going online. This is not the trailer that's going to be cut down from this. It's purely some footage that we put together for this room and this room only and there are things that we've never shown before in it and things that we'll probably never show again until the film comes out; but, this is our last moment. ComicCon will come about a week before the film comes out so we've either got to go big or go home there; but, it's too late. There the marketing machines will have already taken over. This is really our last moment to be in communication with the fans and so we thought WonderCon would be a great opportunity to make it worth your while for coming to San Francisco. You don't know how good this makes us feel right now! By the way, you're the only ones who get to see that alien there in the end. We're not showing it to anybody else. It's not going into marketing material so you get the only glimpse. Everyone's going to ask you, "What did it look like? Was it scary?" We're going to try to keep it as much a mystery as we can. There's a whole end of the movie that's all about the aliens on the ground that we're kind of holding back from showing because we want to keep the sense of mystery. That's not popular but we want the campaign to leave something to the imagination so that—when you actually pay to see the film—you actually don't feel like you've seen it already. And, by the way, it will be shown in glorious 2D! Come early and often and help us fight through a competitive summer. If you want to see movies shot on film in 2D, let the theater owners know that the fans still think that 2D is not dead yet. Part of making too many historical figures in it, it starts to feel cute. You guys got it. You guys are the first audience to really see what this movie is about and where the fun is. The fun isn't in making fun of the fact that they're in a western; the fun is about it blowing their minds and their trying to wrap their heads around what they're experiencing and how do these small people fight against such long odds with such superior technology? That's the fun of this film. By peppering in cute cameos of historical figures, I loved it in Deadwood but in this film it would have interfered and made it a little less mythic. [This is Robert Orci's comment.] 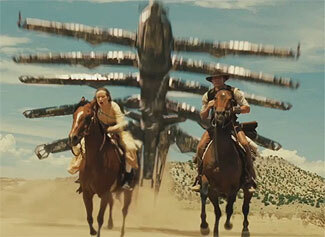 In the western there's a long history of cameos. The reason why you get people like Sam Rockwell, Paul Dano, Walt Goggins or Ana de la Reguera—the reason they all come out of the woodwork—is because every part matters. There's no small parts in a western. 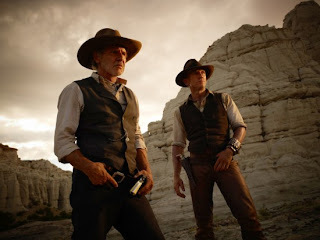 We shot in a combination of California and New Mexico. I'm in a place in my career where I never really chase the tax breaks. We went with New Mexico primarily for the look of it. We liked it and to film in the summer worked well for us. There's a really good film infrastructure. We built a lot of our sets in California. The tax break situation is a tricky one because the film quality shouldn't be compromised by chasing tighter margins; but, if it's best for the film—as it was in our case to shoot a combination of L.A. and New Mexico—I thought it was great. Rather than do CG set extensions, you really had beautiful landscapes and a great community of filmmakers there in New Mexico as well, but I prefer shooting in California when I can. I would like to play Groo someday. That's my dream. Sergio Aragonés, thank you! What's happened in the post-Vietnam era is that manifest destiny kind of went out the window as a simple thought. We began to sympathize more with indigenous populations. The colonial age was ending and we began to see ourselves as a world community. I think that's a positive thing. The bad thing about filmmaking is that we've often dealt with archetypes that weren't related to the reality of who those people were and we've lost a lot of the traditions of filmmaking. What's fun with all these alien invasion movies is that you can make the aliens an ineffable force of evil and allow the cowboys and Indians to come together to fight them and fall back on very old traditions of what you would see in the older westerns. Because you're dealing with an alien force and it's no longer people fighting against people. It opens up the door in a way to make the filmmaking a lot more rough and brutal and simplistic and that was a big appeal for this. I think you're seeing it in war movies. In a lot of alien movies you're going to start to see a lot of the old traditions of filmmaking come back because you're not as concerned with the political correctness of what you're dealing with. You can make a PG-13 movie really brutal too if you're not killing real people, which is also fun. There are heads coming off in Lord of the Rings and that's PG-13, right? 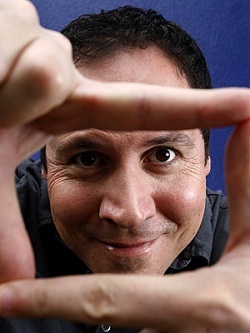 Favreau abides by the most basic rule of filmmaking by creating an inaugural sequence making the film seem like it is worth the time of the viewer (the hook). 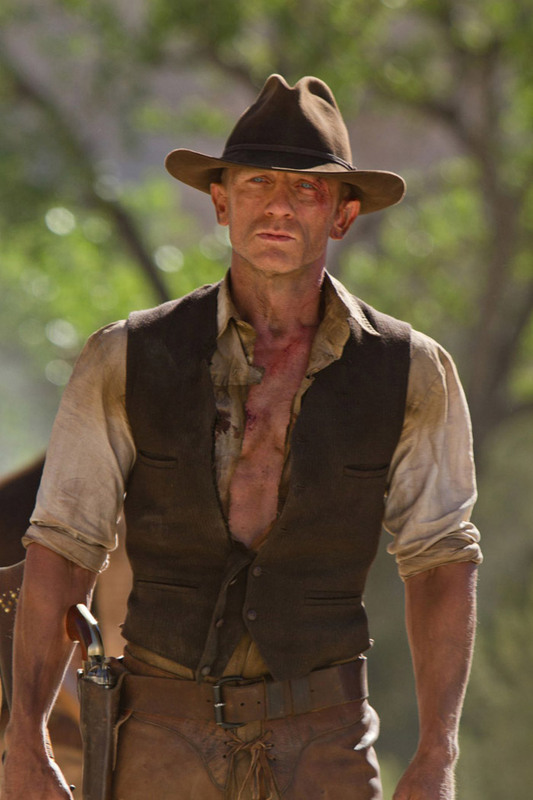 If the rest of the movie to follow suit with heroic Daniel Craig action, everything would have be how it should have been. Needless to say, Craig brings his A-game alongside Harrison Ford’s grouchy performance, who makes a one man show into a two-man show. Olivia Wilde subsequently turns this two-man show into a three-person show that avoids the typical Hollywood love story formula. Lovely perspective, France. Thank you.